Note: I promise I shall return to less fluffy pieces soon! After a week mixing the sad and the frustrating it seemed an occasion for a bit of a lighter take. Someone once told me that church geeks, the kind that become clergy for example, are the biggest geeks – they are the geeks that the Dungeons and Dragons kids make fun of. It’s more than a little true. One of the best comments I ever saw on a blog was about the Sarum Rite, the commenter said that attempting to recreate the Sarum Rite was like trying to master the rules of Advanced D&D. In other words, it requires an obsessive attention to detail that only a fellow lover of such obscura will appreciate (and much of the world will find it baffling that so much energy is devoted to the pursuit). Well, I have always had an appreciation of all things geeky. 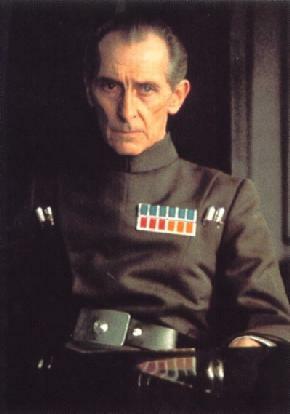 I suppose it began with Star Wars – I was the kid that was thrilled with the Grand Moff Tarkin action figure. I started thinking today about how two of my interests (read geeky obsessions) come together. What are the lessons of Star Wars for the Church? What can Yoda, Vader, Tarkin, and more tell us about how to change and adapt? What are the lessons of the Rebellion’s victory and the Empire’s fall? 1. Meesa wants more: Dumbing things down just doesn’t work. The complexity of the galactic struggle of the first three Star Wars movies was nearly obliterated by the annoyance that was Jar-Jar. Those coming back to Star Wars and those new to it were not looking for a bizarre novelty – they were coming back to see Vader and Yoda. Our great gift as the Church is that we are not the home of grating attempts at entertaining humor. We have a tried and true core that need not be tarted up with CGI buffoonery. Yoda gets it right. There are lots of things we fear as a Church right now. The culture is changing. The church is changing. Atheism is on the rise. We are becoming irrelevant. We are too rigid. We are too loose. The Prayer Book is holding us back. Abandoning the Prayer Book is killing us. In other words – there is fear in abundance. Fine. Name it. Get it out in the open so we can get on with the work of visioning our future. We have to be willing to say with honesty those things that are most troubling and feel most threatening. Only then can we begin to metabolize the fear and let it become a new source of energy. The rebel culture was one of optimism and hope as opposed to their foe which was motivated by fear and anger. 3. Fear cannot be the motivator. Yoda knows, fear and anger lead to the dark side. Yet our own fears cannot be what drives us – we have to trust that God is leading us and the Holy Spirit are present even, and especially, amid our anxieties. Fear cannot be the means we use to motivate others either. “Do this or we’ll die” is not exactly the most salient vision statement. After all, how much did Imperial performance improve after Vader’s serial force chokings of admirals? Not much. We have to find our common vision, our common identity, as Anglican Christians. It was not fear that made Han a hero and a farm boy a Jedi – it was a belief in something greater than fear and larger than themselves. 4. Bigger is not better. 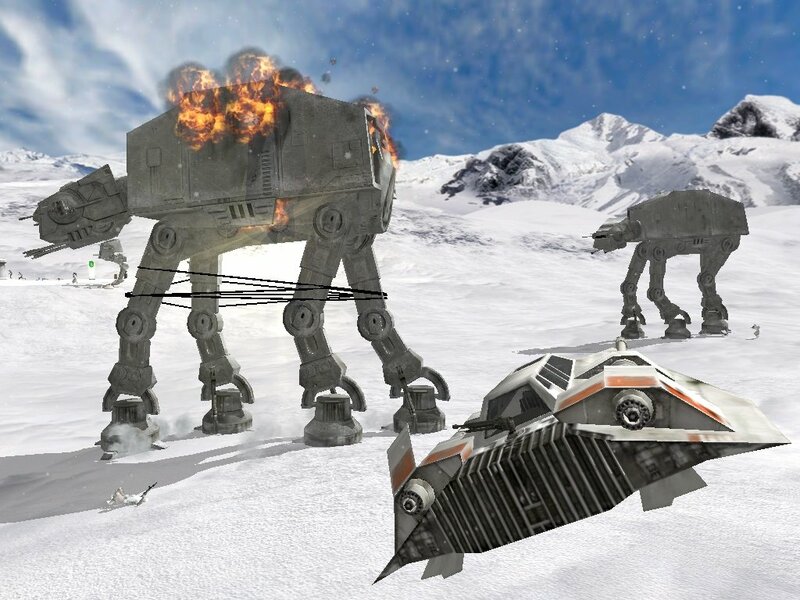 When those AT-ATs came across the frozen waste of Hoth, they must have been a terror to behold. Yet out come the rebel ships throwing cables around their legs and down they went. Death Star? Ditto. In other words, those big imposing structures and mechanisms we have put together just will not get the job done in this new era. They are the way and tools of the past. We have to be willing to take those things apart and build a newer, faster, more nimble force. 5. Agility is the key. As those larger structures collapse under their own weight or through our own re-working, we have to be agile and responsive. The culture is moving too fast around us for us to believe that bloated structures built around triennial gatherings will ever respond to the deep needs all around us. We are only relevant insofar as we are equipped and ready to respond to the communities we are part of. At every level we have to be moving quickly and anticipating rather than just reacting. Insulated centralized structures will always be a step behind a networked but creatively trained and mobile forces with a shared hope. How do you think stormtroopers were trained? I don’t imagine that their drills stressed creativity or new thinking. The rebels, on the other hand, probably had a formal training program that was a mess. They were ragtag and their equipment was often shabby – and yet they managed to pull it off. Bringing up new leaders in the church, both lay and ordained, requires not just rote training in the fundamentals but also careful mentoring and apprenticeship. Yet, there are basic building blocks that must be learned. Look at Yoda’s training of Luke. He trains him in the basics of the force, the core elements, but also mentors and helps him see what was possible. It was the relationship and love between Han, Leia, Luke, Chewbacca, and more that gave the rebels strength and courage. The Church is a Body of relationships – relationships rooted in the love of God. It is not a system of obedience that will renew us but a revivified understanding that each of our lives is intertwined in dangerous ways with one another’s. It is dangerous because it is a threat to our sense of pride, individualism, and self-sufficiency. We are together, as the Church, only because of the life we share in the Sacraments. Our bishops are leaders because they form the heart of our Sacramental life as a diocese. Our priests are priests only because they were first baptized and called to offer the Sacraments on behalf of the bishops. We have a priesthood of all believers that have been welcomed into the apostolic band through the laying on of hands at Confirmation. It is this web of relationship that stretches beyond time and borders that binds us together and to Christ. We are not a structure for the sake of structure – we are the Church because we share in the Body. C-3P0 lets Han know that the odds of successfully navigating an asteroid field are approximately 3,720 to 1. The odds seem against the Church these days. We hear day after day that the decline is coming, the fall is imminent, the sun is setting on the Church. Yet, we have gone through this all before. There have been challenges again and again to the Church and yet it thrives not because of our own efforts but by the inspiration of the Holy Spirit. The odds are there and the challenges are real and yet we would be sunk, indeed would have collapsed long ago, if odds were the only thing that guided the Church. We are not a Body of odds nor a faith of mathematical determinism. 8. There is no try. Yet, the odds are real and there is little time for us to just let the future happen. We can’t spend our time theologizing our failure or decline – there are no excuses. There is no try. There is do or do not. Our work is not to save the Church – it is to bring word of God’s salvation to the communities all around us. With creativity, joy, and determination we are called to work, pray, and give for the spread of the Kingdom. Offering our whole selves to this work is not easy and it is hardly glamorous but there is no try. Luke: “I can’t believe it.” Yoda: “That is why you fail.” There is no try because we believe. 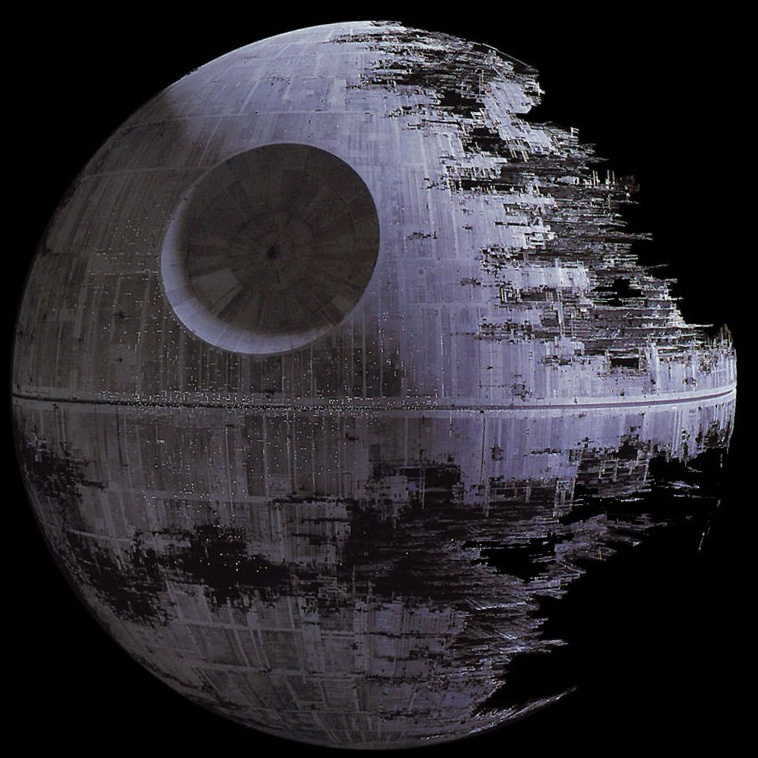 The Galactic Empire devoted years and an enormous amount of money and manpower to constructing the Death Star. After it was built, the base the size of a moon only successfully completed one mission before it was destroyed by the Rebels. And the Empire’s response? Build a bigger, newer Death Star. There are no reasoned chats between Vader and Palpatine about the wisdom of this path. Maybe there were creative ways to obliterate planets that they had not considered! As I listen to the debates about structures in the wider church, I keep waiting for some leader or another to invite us to witness the awesome power of the new and improved House of Deputies. “I find your lack of faith disturbing” he says as we wonder aloud about this grand new behemoth. It was not the power of the structures, of the Death Star, that ultimately won but a shared vision of the future. No 1 is something that needs to the shouted from the roof tops! There seems to be an obsession in some circles of the church with novelty in worship reducing it to the level of “fun” like a sports event, etc. Your remarks about geeky obsession with details reminds me of the hoops some of my freinds have jumped through to learn the complexities of leading the Eastern liturgies! We’ve already made the BCP almost too complicated with all the variations of the revisions and now the Common Revised Lectionary, having sacrificed the wonderful unity of Cranmer’s reform goals. Hurray! Star Wars is awesome. Religion is just so boring. Root canal is attractive by contrast.